For some reason, my wife likes watching a lot of those shows on TLC. I remember the good old days when it was The Learning Channel and the shows actually taught you something. Now it's one endless show after another of multiple kid families, weddings and little people. With me being the cynical mouth I am, I cannot sit out there and watch the shows because I will have a nasty comment about everything, starting with how it's all scripted and moving on to the fake arguments, fake "drama" and fake...well, you name it. Luckily for me, when it comes to little things, they are PWEs, and within are huge things, in regard to my collection. It's really amazing what you can stuff in a PWE and for the most part, arrive safely. If you package them right, you can ship a myriad of things. 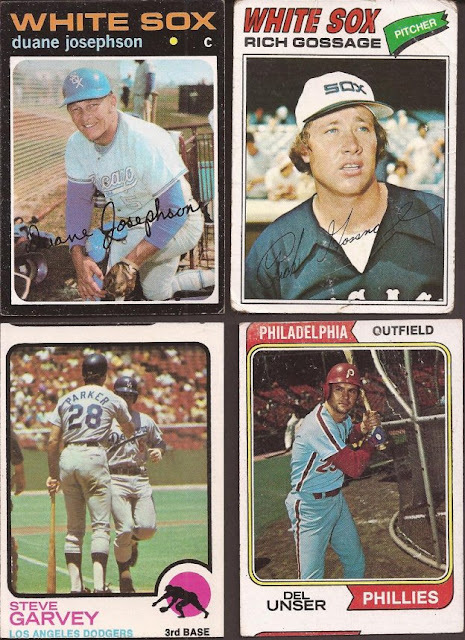 Like vintage minis, and throwback vintage-y cards, like this group from Pat over at Hot Corner Cards. Or new releases with a relic, like this group from Jeff at Wish They Still Came With Bubblegum. 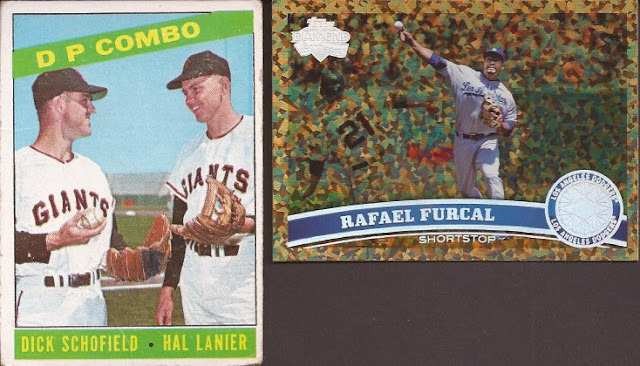 You can ship some custom binder needs, like a sweet double play-like vintage or a shiny DP card. Or team set needs and swell miscuts, the last two images courtesy of Jim at GCRL. I let my wife have her cooking channels, dress shows, families that need birth control and the rest. I'll take my little room with my 2x3 cards all neatly sorted in rows and pages. Sale cards are so under valued. That is good for you, but could you imagine if he played for the Yankees or Red Sox? Now TLC means The Lost Collector. See what I did there?